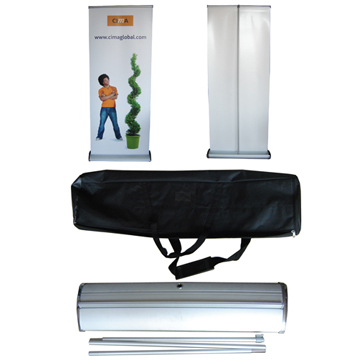 Roll-up banners are ideal for exhibitions, conferences and displays. Roll-up banners give the user an immediate presence helping to display products or services. The digital printing PVC banner attached can be replaced.